The eyes of the world are on Cuba this week as President Obama makes his historic visit to the island nation, the first for a sitting US President in nearly nine decades. I had the good fortune to have visited Havana more than fifteen years ago, in December 1999. 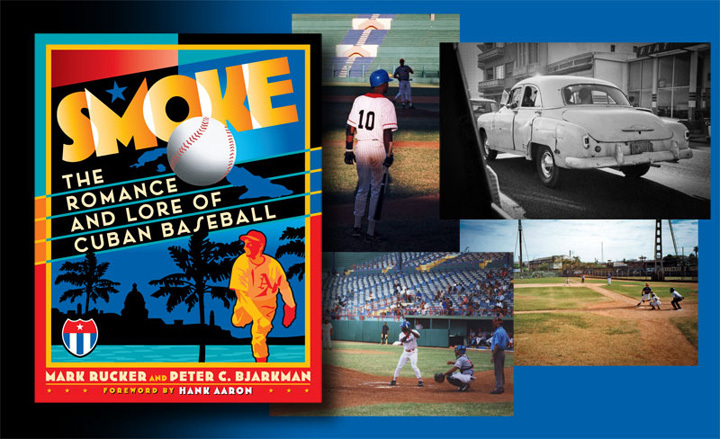 That year I designed Smoke: The Romance and Lore of Cuban Baseball, the definitive pictorial history of Cuban baseball. I traveled there with authors Peter Bjarkman and Mark Rucker, friends who knew the place, knew people there, and knew how to navigate the unique dynamics of visiting the country. Armed with a license from the US Treasury Department, we ate, slept, talked, and watched baseball. We went to several games at Estadio Latinoamericano (site of the Rays vs Cuban National Team exhibition game on March 22,) as well as youth league games at ballparks in the Guanabacoa and Regla sections of Havana. The designer in me found visual inspiration everywhere. My having worked on the book for the better part of a year provided me with some small sense of what to expect. This project and the experiences attached to it provided me with some deep insight into what the sport of baseball means to fans outside of North America. The marketing of baseball has grown exponentially since my visit to Cuba—the world has gotten both smaller and flatter. In 2004 I was approached by MLB to assist in branding what would eventually become the World Baseball Classic. Our work has stood the test of time—2017 will mark the third WBC tournament, and the original look has endured, evolved, and has prospered.